NOTE: EVENT DATE IS NOW SATURDAY SEPTEMBER 7, 2019! Please join us on Saturday September 7, 2019 for the Glen Iris 5K Run/Walk in support of the Cordelia Greene Library in Castile. This event will take place entirely inside Letchworth State Park and features breathtaking views of the park and Genesee River Gorge know as the Grand Canyon of the East! In 2016 the park was voted as the #1 New York State Park and in 2017 it was voted the #1 attraction in New York State! Participants are encouraged to visit the official park website learn about all the great things happening at Letchworth. The USATF Certified Course will start at the Trout Pond inside Letchworth State Park. The scenic route proceeds along the park road adjacent to the Genesee River Gorge before turning back into a wooded back road leading to the finish line at Trailside Lodge. Online registration will remain open until Thursday 9/5/19 at 5pm. Due to poor internet connection inside the park we will only be able to accept paper registration forms on race day. Race day registration and packet pickup will take place at the Trailside Lodge from 7:30 am right up until the start of the race at 9:00 am. *Shirts for this race are optional and can be ordered right up until September 1, 2019. From September 1st through race day you will only be able to select the "no shirt" option. Join us after the race at Trailside Lodge for a post race celebration including great food compliments of the Glen Iris Inn (wrap, choice of fruit, and one of their famous brownies), beverage, music, and the awards ceremony! Participants over the age of 21 are welcome to bring adult beverages for personal consumption to the post-race celebration. 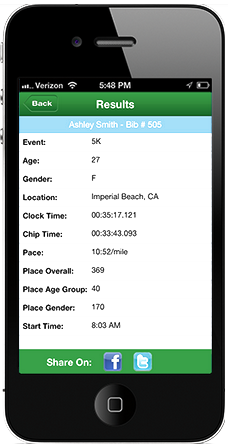 *Race organizers will expand the age group awards at their discretion based on registration numbers. All participants should plan on entering the park via the Castile Entrance on the west side of the park. If you arrive before 9am there will be no charge to enter the park. Once you pass the toll booth and enter the park, turn right (south) and drive past the Visitor Center. There is plenty of parking at the Trailside Lodge adjacent to the finish line. This is also the location of the post race party! For additional information on the race please contact Paul Beatty at 716-998-5777 or via email at pbeatty@iRunWNY.com. For sponsorship opportunities please select the "SPONSOR" button at the top of this page.